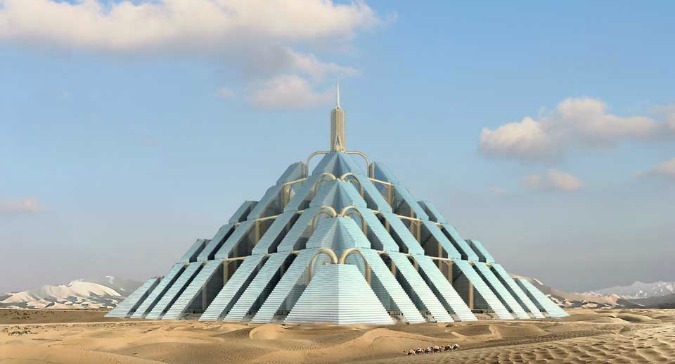 Dubai-based environmental design firm Timelinks recently released some eye-catching renderings of the gigantic eco pyramid – aptly named Ziggurat. 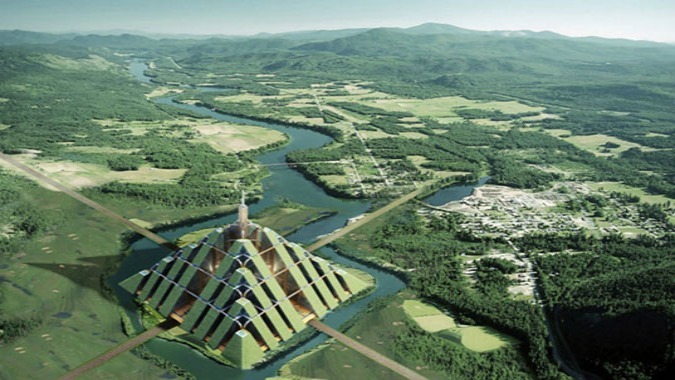 The ginormous pyramid will cover 2.3 square kilometers and will be able to sustain a “community” of up to 1 million. Timelinks claims that their Ziggurat will be capable of running completely off the grid by utilizing steam, wind, and other natural resources. 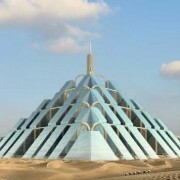 The tightly knit city will also feature a super efficient public transportation system that runs both horizontally and vertically, and plans are being drawn up to utilize both public and private green spaces for agricultural opportunities.According to the International Institute for the Urban Environment, the technologies incorporated into the Ziggurat project will make it a viable metropolis, and Timlinks has responded by quickly patenting the design and technology developed for the project. (source).